Lottie Elizabeth Woodworth - age 94, of Wolfville, formerly of Lockhartville, passed away on Sunday, April 14, 2019 in the Wolfville Nursing Home. Born in Wolfville, she was the daughter of the late Arthur and Cora (Parrish) Brewster. 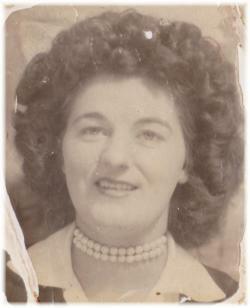 Lottie was a home care worker and had been employed at the Wolfville Nursing Home for many years. She is survived by son, Bruce (Wanda Bennett), Lockhartville and brother, Kenny, Baxter’s Harbour; several grandchildren, nieces and nephews. She was predeceased by sisters, Mary Vidito, Trillis Hiltz, Mae, Carol; brothers, Maynard, Gerald and Leslie. Visitation will be held from 10:00 a.m. until the time of the funeral service at 11:00 a.m. on Friday, April 19, 2019 in the White Family Funeral Home, Kentville, Reverend Gary Manthorne officiating. Burial will take place in the Baxter’s Harbour Cemetery. Donations in memory may be made to a charity of your choice. Funeral arrangements have been entrusted to the White Family Funeral Home and Cremation Services, Kentville.